Surface Go will be available for pre-order beginning on July 10 with an MSRP of $399USD/$529CAD. 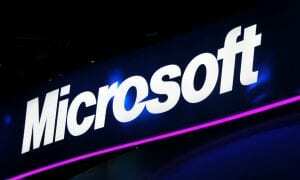 There has been speculation over the past few weeks that Microsoft would be announcing a number of new Surface devices. 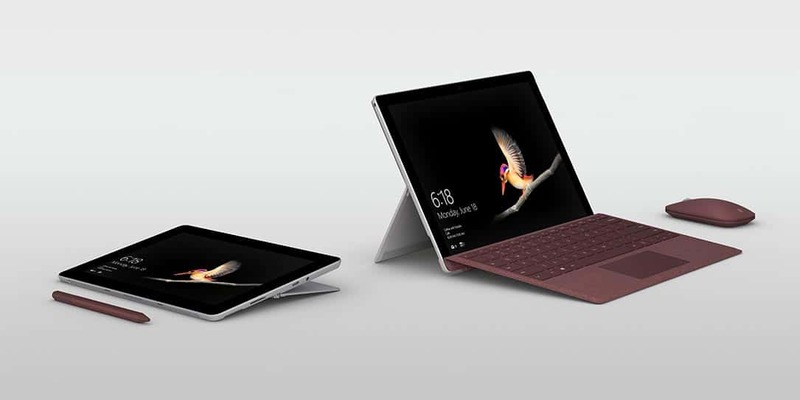 The first has been officially unveiled: the Surface Go, a new affordable 10-inch version of Microsoft’s 2-in-1 tablet. The new addition to the family weighs only 1.15lbs and is 8.3mm thin, offering ultimate Windows portability in a small package. With its 3:2 ratio PixelSense Display, the Surface Go supports the Surface Pen. The aspect ratio was designed to mirror the scale of most school textbooks while in portrait mode and mimic a paperback book in landscape mode with side by side page rendering. At 10-inches, it’s also roughly the size of a standard notebook, making for a natural and intuitive experience when using it as a notepad. Working closely with Intel to optimize power, performance, and battery, the Surface Go is powered by a 7th Generation Intel Pentium Gold Processor 4415Y and offers up to nine hours of battery life. The new device also sports the Surface Connect port, USB-C 3.1 (for data and charging), a headphone jack, and a MicroSD card reader. 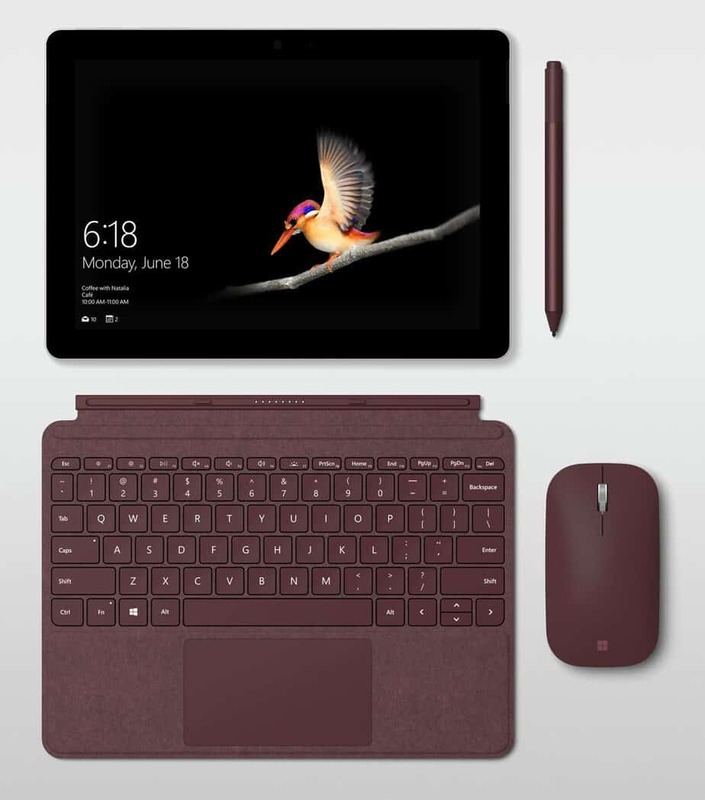 The Surface Go Signature Type Cover boasts ergonomic key pitch and a five-point multi-touch Windows Precision Touchpad for when you want to use it as a laptop. The Microsoft Surface Go with the Signature Type Cover. Surface Go will be available for pre-order beginning on July 10 in the following markets, US, Canada, Australia, New Zealand, UK, Ireland, France, Germany, Austria, Belgium, Luxembourg, Netherlands, Switzerland, Denmark, Finland, Norway, Sweden, Poland, Italy, Portugal, and Spain with an MSRP of $399USD/$529CAD. It is expected to hit store shelves on August 2nd with an LTE version coming later this year. What do you think about the 10-inch Surface Go? Let us know in the comments below or on Google+, Twitter, or Facebook.